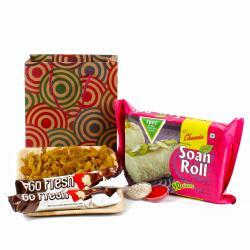 Product Consists : Spring Assortment of Milk Chocolates Box (Weight: 150 gms) along with Soan Cake (Weight : 200 Gms) and Pack of Roli Chawal. 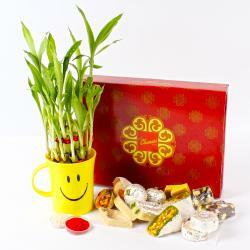 A perfect way to send love and best wishes to your loved ones, this is a heart warming combo from Gifts across India. 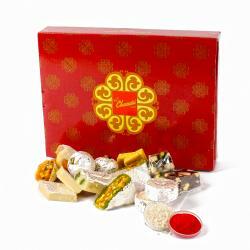 The hamper includes a Spring Assortment of Milk Chocolates Box and a pack of Delicious soan cake that are simply irresistible. 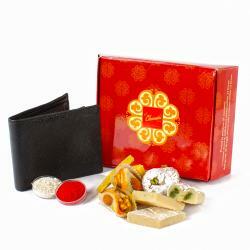 Order it online for your special ones on occasions like Bhai dooj and Diwali to make them feel special. 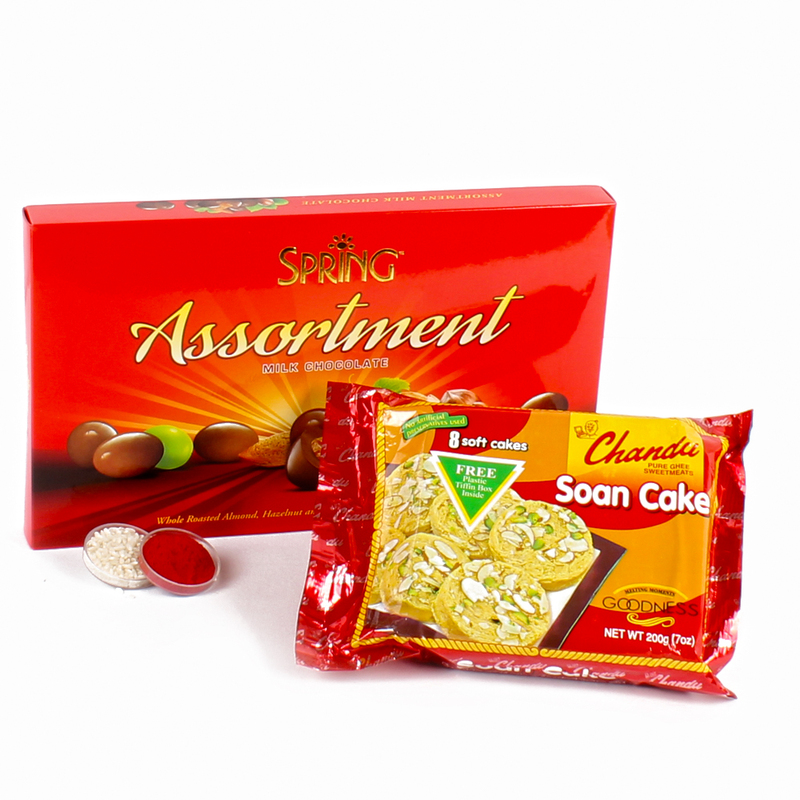 Product contains : Spring Assortment of Milk Chocolates Box (Weight: 150 gms) along with Soan Cake (Weight : 200 Gms) and Pack of Roli Chawal.